on friday and saturday, mr.a and i attended a marriage conference for military couples. it couldn't have come at a better time for us. we're sort of in limbo as we adjust to his recent return from training but also prepare for his deployment this summer. the event was sponsored by some amazing people so it only cost us $20. 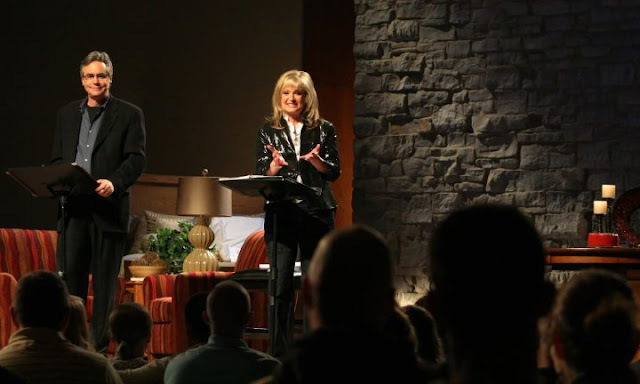 the event included great food, a night at the marriott and fantastic training from dr. gary and barb rosberg; who are authors, counselors, radio hosts, and marriage experts. they provided us with some practical ways to prepare for deployment and ways to stay connected during deployment. a lot of their advice applies to any married couple, but this event was fine-tuned specifically for military couples. dr. dennis swanberg was the mc for the weekend. 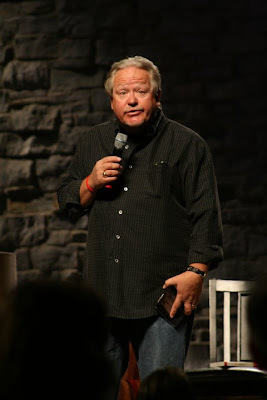 he's a retired southern pastor and he seriously belongs on the blue collar comedy tour. he was a riot and his presence at the conference really helped lighten the load. it was an emotional couple of days. it really made mr.a's upcoming deployment a reality. but it also provided us with the tools to face this reality. i laughed and cried and learned so much. we were both so glad we went. good for jumping on, too! and we had a great night relaxing together, without interruption. a rare and treasured occasion! who made this possible for us. pictures of the rosbergs and swanberg were taken (without permission, sorry!) from their facebook page. Did you steal the shampoo and conditioner? Please tell me you stole the shampoo and conditioner. Bath & Body makes it especially for Marriott. It's a lovely orange fragrance and my hair loved it. First time ever for hotel shampoo. I really hope you stole that shampoo and conditioner. Bethany, you jumping on the bed is the cutest thing I have ever seen! simply adorable! yes, cin! i definitely stole the shampoo & conditioner! i didn't even let mr.a use the soap so i could bring it home!